Fashion4Brides services future brides- to-be who live in NYC or plan on traveling to NYC to find their perfect dress. 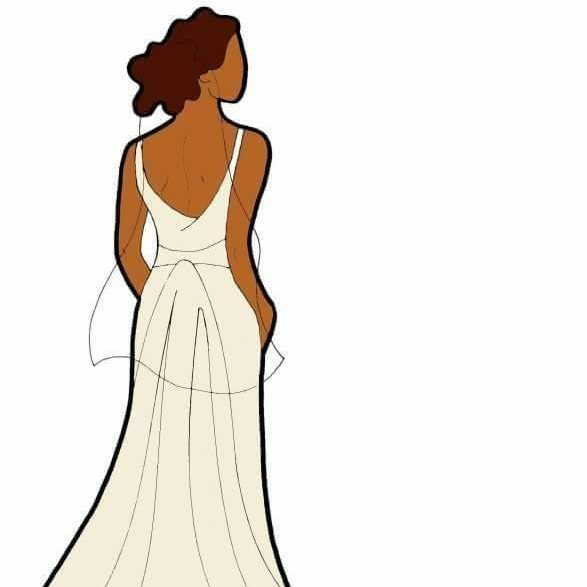 Fashion4Brides will shop for your wedding dress if you are uncertain about the style and silhouette most flattering for your body type. Finding a wedding dress can be overwhelming. As your bridal stylist, I will help you navigate through this process so that you can truly enjoy this special experience!! How does it work? Fashion4Brides will set up appointments for you at the best bridal boutiques and accompany you on your search for your perfect dress. After you choose your wedding dress, you will be confident in your choice, knowing that you had an expert by your side every step of the way. Fashion4Brides also offer additional bridal services, such as assisting you in your search for accessories, bridesmaid dresses, the mother of the bride dress, and outfits for all of the events surrounding your special day (engagement party, bridal shower, rehearsal dinner, and honeymoon). Why do you need a bridal dresser on your wedding day? A Bridal Dresser ensures that everything goes smoothly and looks beautiful from a fashion perspective. A Dresser is a lady in waiting. She steams the gown and prepares it for dressing, assists the bride in getting dressed, and performs a final ‘fluff’ before the walk down the aisle to make certain that the first impression is perfection. The Dresser also bustles the gown prior to the reception and can assist the bride in changing into her reception look if needed. Fashion4Brides stylist will be on hand to ensure that your wedding day look exceeds your expectations. We will steam your gown, affix your corset, buttons, and bows, and prepare your bustle perfectly so that you can dance the night away. The Bridal Stylist are on hand to address any fashion related emergencies and ensuring that every fashion detail is in place. Fashion4Brides will help to alleviate a lot of the stress associated with the final days of planning as well as reduce the pressure often associated with day-of logistics. Fashion4Brides will confirm vendor contracts and create a day-of timeline, as well as make sure things like payments and guest counts are in order. We will coordinate everything involved on the day of the event, from load-in and load-out to ensuring that everyone is on schedule. Collection of gifts and personal items, inventory and safe removal. We Fashion ourselves to cater to your needs!